Picture this: It is a new day with a new cat client scheduled! Ready to get this show on the ro.ad, you reach into the carrier…and almost lose your hand! Heart racing, you pull out your hand covered in scratches. Inside the crate is a hissing, spitting cat – challenging you to try that again. Your stomach is in knots because you just promised this new owner a lion cut – but what do you do when the cat is trying to bite you? 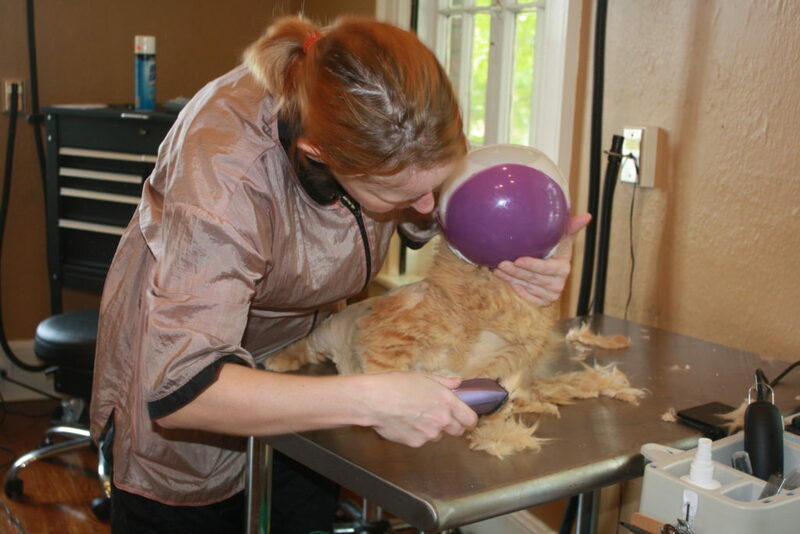 As cat groomers, we regularly have cats displaying aggressive behaviors come into our salon. But, how we handle and adjust the groom makes a world of difference in the outcome. The above scenario can easily go astray and lead to severe injury to the cat groomer, or lead to an upset, and even distressed cat. Let’s break down how we can decide what our next steps are. Before you can decide what grooming services to offer and which techniques to use, you’ll need to do a thorough assessment on the cat. Doing a physical assessment before the owner leaves is imperative for discovering what the cat’s skin and coat condition is, what services the cat needs, and how they react to being touches in different areas. You do not want to be knee deep in cat hair and fending on a hissing cat to realize your nail trimmers are across the room! Preparation is key for your grooms to go off without a hitch. Make sure everything is laid out, within arm’s reach and ready to go. When grooming an aggressive cat, it is even more important to be efficient and fast. There is no time to search for a tool or scramble to set up a piece of equipment! Scheduling is also a key factor in your preparation. Both Lynn’s Cat Naps Cattery & Gracee’s Upstate Meow are cat-exclusive grooming salons, so we have designed our entire process to work specifically with cats. However, there are adjustments you can make in your own salon to create a more calm environment. For example, limiting your cat appointments to either first or last of the day, have a cat only day or block of appointments, when there are no dogs present, or have a separate space set aside for cat grooming. It is also helpful to have a different set of tools to again, limit the smells associated with dogs in the salon. One of our favorite tools that prevents injury from biting is the Air Muzzle. This ball-shaped muzzle provides 100% protection (no danger zones left out), while allowing you to see any changes in breathing, eye dilation or other signs of stress or distress. Handling is your next most important tool. Using the correct techniques will increase your control of the cat and decrease injury. Now, this does not mean that every cat, even more reactive cats, mean you should be manhandling or needing multiple people to hold the cat down. A lot of groomers tend to be fighting with the cat rather than grooming them. Choosing which holds to use and when are just as important. 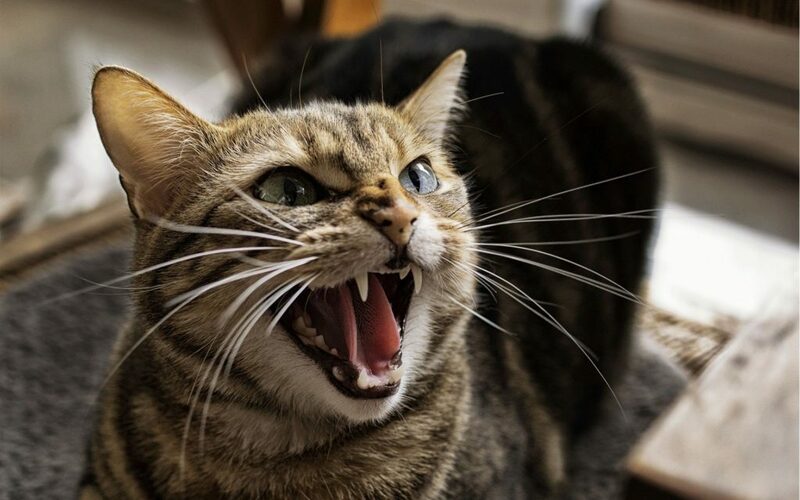 You will need to consider that for many cats less is more, but you will also need to be aware and ready to change positions to minimize scratches and bites. Another great tool is actually water. I know what you’re thinking – water? Really? Yes! Water can be an amazing tool to calm some cats down. This can be used as a distraction to gently wet them as the first step of the groom, making them much more easily handled. Next tool you’ll want to keep handy is a towel. Actually several large, plush towels can be incredibly helpful during cat grooming. For example, wrapping them snugly in a kitty ‘burrito’ can assist you during nail trimming or working on their face. The towel helps the cat feel more secure, while giving you that extra hand you need. Last, but definitely not least – Confidence. Just having confidence while working with these cats will help the situation tremendously. Confidence is something that takes time and effort, it also can’t really be “faked.” Groom within your own comfort level, and you will start to see that as you get more experience you will feel more comfortable working with challenging cats. Do not feel disheartened if you need to turn a cat away because they were outside your comfort level and/or for their level of aggression. The best way to improve your confidence while working with aggressive cats is to increase your knowledge, expand your skill set and get additional practice with an experienced instructor in a supportive environment. 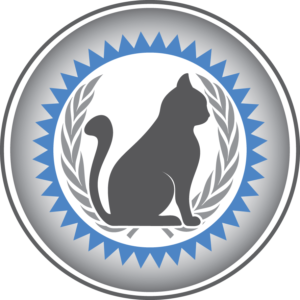 Grooming the Aggressive Cat – This online course includes video demonstrations and techniques from NCGI President Danelle German. 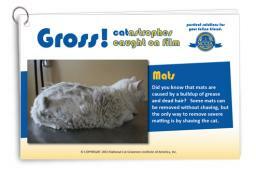 Get a Grip DVD – Olivia Schipper, CFMG, Certifier/Instructor is featured in this video working with two aggressive cats, including a matted lion cut. Handling Techniques for the Cat Groomer – This book is jam-packed with full color photos demonstrating a large variety of positions and techniques depending on which area of the body you are working on. 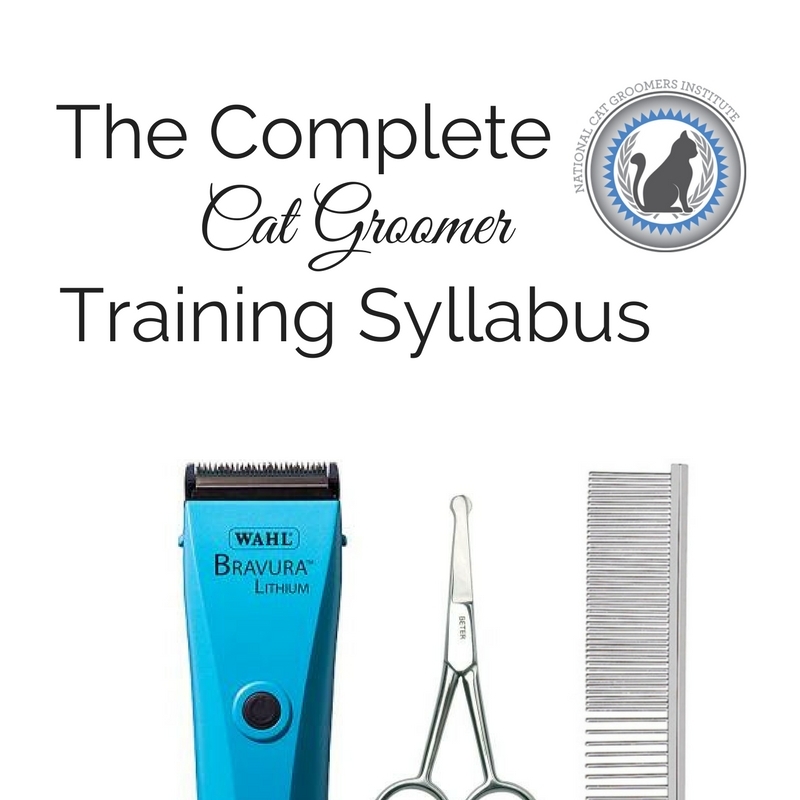 Complete Cat Groomer Training Syllabus – Get all of the above, plus a ton more in the total cat grooming package. Hands-On Instruction – Both Lynn and Gracee provide private training in their salon spaces. Contact Gracee Owen in South Carolina at [email protected] and see her training details here. You can reach Lynn Paolillo in New Jersey at [email protected] and get information on her hands-on training availability here. 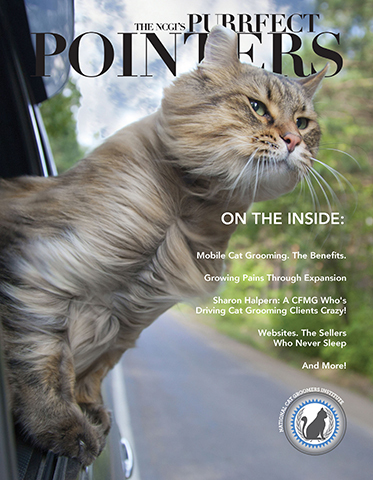 Lynn & Gracee are also teaming up to host a cat grooming workshop at Cat Naps Cattery in Hamilton, NJ on August 2 – 4, 2019. Click here for more information!